What would you put on your Texas bucket list? 1. Visit the State Fair of Texas in late September and early October. Eat a corny dog (and the fried cookie dough and the funnel cakes …) Admire the art deco buildings and artwork. Stare up at the new Big Tex. Ride the Texas Star Ferris Wheel, North America’s largest. 2. Visit a real Texas rodeo with bona fide cowboys and cowgirls ropin’ and ridin’ wild animals. The Texas Ranch Roundup in Wichita Falls includes some of the best in the state from the big, legendary ranches. 3. Drink in the bluebonnets and other wildflowers that bloom in springtime. 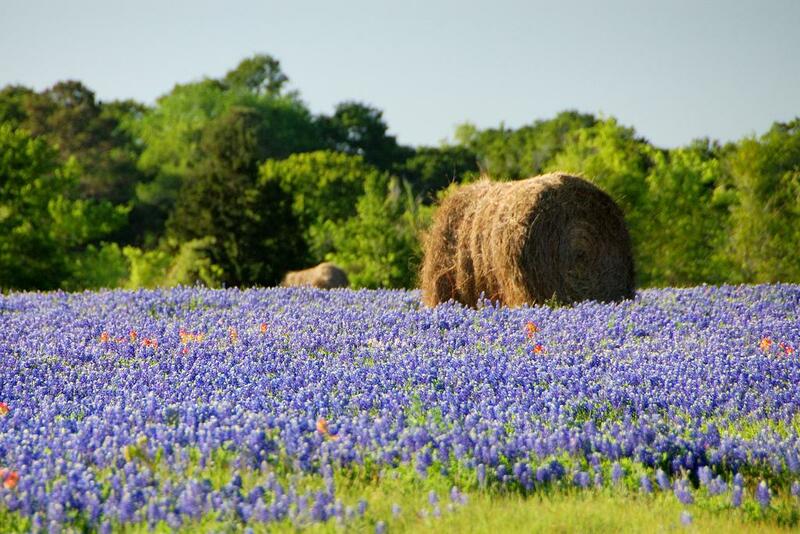 Drive the Bluebonnet Trail in Hill Country at the height of the season. Closer to Dallas, visit the bluebonnet trails in Ennis in April. A field of bluebonnets -- it doesn't get any more Texas than that. 4. Jump into a swimming hole in Central Texas. Some are spring-fed pools. Canoe or kayak one of the beautiful, clear rivers in Central Texas, such as the Comal or Guadalupe. Or grab an innertube and float away. A Kemp's Ridley turtle just chilling in the sand. 5. Head to Padre Island. 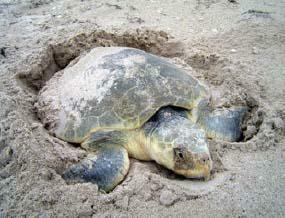 Watch the rare, protected Kemp’s Ridley turtles as they hatch and race to the water. Stay on the beach past sundown to see the Milky Way over the Gulf of Mexico. 6. Attempt to ride the Hotter’N Hell Hundred cycling event in Wichita Falls. It’s in late August! What were they thinking? 7. Go deer hunting in picturesque Hill Country. Did you know Hill Country is known as the “Deer Factory of Texas?” The area where Mason, Gillespie, and Llano counties converge supports the highest deer density in the country, with one deer for every 2 to 3 acres, according to Texas Parks & Wildlife. Take in the beautiful Hill Country views. 8. Camp out with wild and exotic animals at the Fossil Rim Wildlife Center in Glen Rose. The 1,800-acre center is home to over 1,100 animals and 50 species of native and non-native animals. 9. Go eat some Tex-Mex. A hole-in-the-wall. Or a chain. Or one of these suggestions from across the state, or from this list of North Texas eateries. Specifically in Dallas: Don't miss listening to dueling mariachi bands while chowing down on fajitas and schooners of margaritas at El Ranchito in Oak Cliff on a Saturday night. St. Mary Catholic Church in High Hill, one of the Painted Churches of Texas. 10. Go to church. Perhaps a mega-church such as Lakewood Church or Second Baptist in Houston or the Potter’s House in Dallas. Or visit St. Mary Catholic Church in High Hill, near Schulenberg, which Fox News named one of the country’s most beautiful. 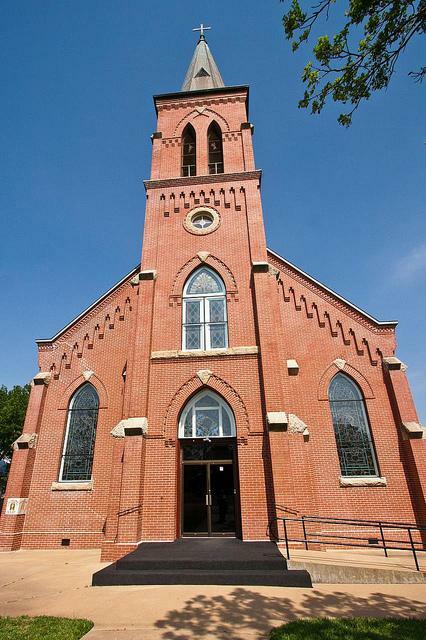 With its ornate design, paintings and stained-glass windows, it’s known as one of the Painted Churches of Texas. 12. Canoe or boat through the cypress trees and enjoy the swampy East Texas bayous that are Caddo Lake. Eat some fried catfish while you’re there. 13. Admire the roses in Tyler. Each October thousands of visitors head to Tyler for the Texas Rose Festival. Tyler is home to the largest municipal rose garden in the United States. 14. Head to Gruene Hall, Texas’ oldest dance hall, in New Braunfels' historic Gruene district. Built in 1878, the 6,000-square foot hall has a high-pitched tin roof and its original layout. It offers live music every day. Since 1975, Gruene Hall has hosted hundreds of celebrities. In the 1800s, Gruene Hall held weekly dances and hosted traveling salesmen, high school graduations and badger fights. 15. Attend a taping of Austin City Limits. The PBS show is the longest-running music program in television history, the only television show to have been awarded the Presidential Medal of the Arts, and was recently recognized by Time magazine as one of the 10 most influential music programs of all time. Watch a bunch of clips and episodes here. 16. Catch the battle of the bands during the State Fair Classic each fall between the Tiger Band and the Marching Storm — the marching bands of Grambling State University in Louisiana and Prairie View A&M in southeast Texas. Oh, and there's a football game, too. 17. Museums – and more museums. There are all sorts of great museums across the state. How to choose? Pick one of these three with great collections that were designed by Renzo Piano: the Menil Collection in Houston; the Nasher Sculpture Center in Dallas and the Piano Pavillion at Kimbell Art Museum in Fort Worth. 18. 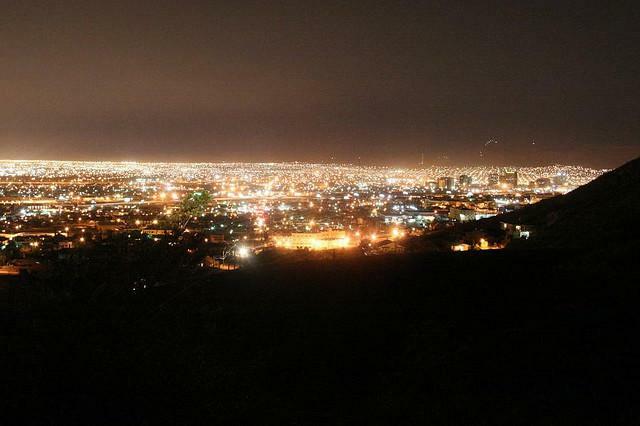 Visit Scenic Drive and watch the sun go down and the lights come up over El Paso and Juarez. Enjoy the sweeping views of El Paso as you take a tour along Scenic Drive. 19. Tour President Lyndon Johnson’s ranch, home of the Texas White House. It’s near Stonewall. The LBJ Ranch was where he was born, lived, died, and was buried. 20. Tour Texas' presidential libraries — George W. Bush at SMU; LBJ at UT-Austin; George Bush at Texas A&M. 21. Holy smokes batman! Hang out by the Congress Avenue Bridge in Austin and watch the bat show: about 1.5 million bats love the bridge because it’s humid and there are lots of hiding spots. 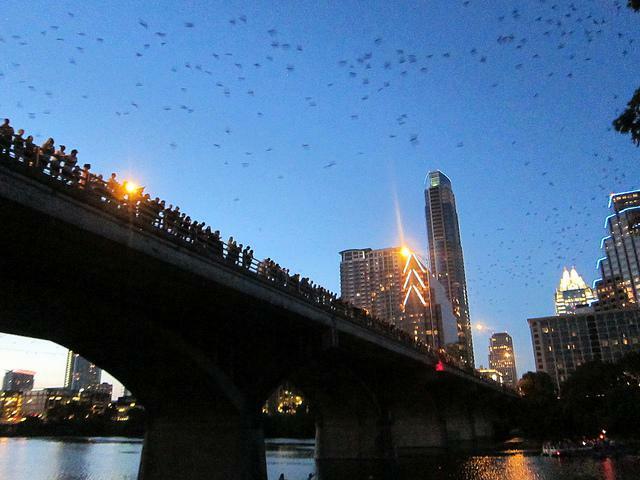 Send in the bats: Visitors flock to the Congress Avenue Bridge in Austin to watch the bats. 22. Visit the Inner Space Cavern in Georgetown — one of the best-preserved caves in Texas and home to prehistoric remains. 23. Explore Hueco Tanks State Park & Historic Site in El Paso. Ancestors used the rainwater pooled in natural rock basins, or huecos. You can hike, climb rocks, admire birds, study nature and stargaze. 24. 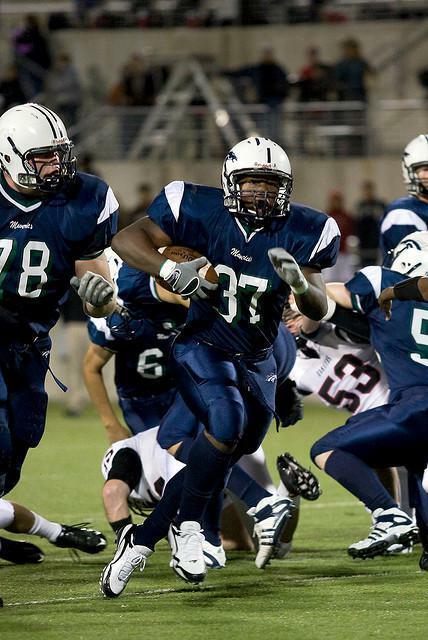 Catch a Friday night high school football game, preferably the Permian Panthers in Odessa, the team that inspired a movie and network TV show. Make sure to take in the Friday night lights. 25. Make an appointment to see The Hill, artist James Magee’s giant art project in the desert outside El Paso. 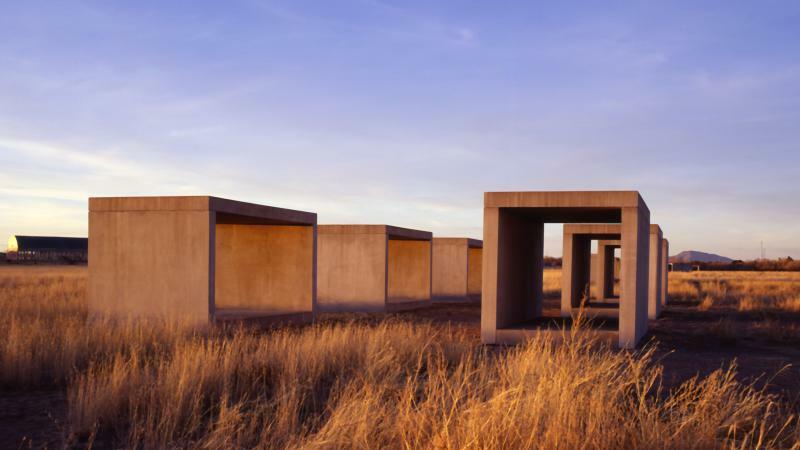 Here’s how his website describes it: For more than 25 years, Magee “has been engaged in a massive, largely secret, almost solitary endeavor in the vast plains of West Texas.” It’s a series of buildings and sculptures on about 2,000 acres. In 2010, KERA’s Jerome Weeks interviewed Magee. 26. Check out the Dallas Cowboys cheerleaders’ locker room as part of your AT&T Stadium tour. 27. Watch Intocable in concert when the group tours Texas. Intocable started nearly 20 years ago in Zapata and has become one of the most influential Tejano/Norteño groups. 28. Find some peace at a Buddhist temple. Try Wat Buddharatanaram in Fort Worth. 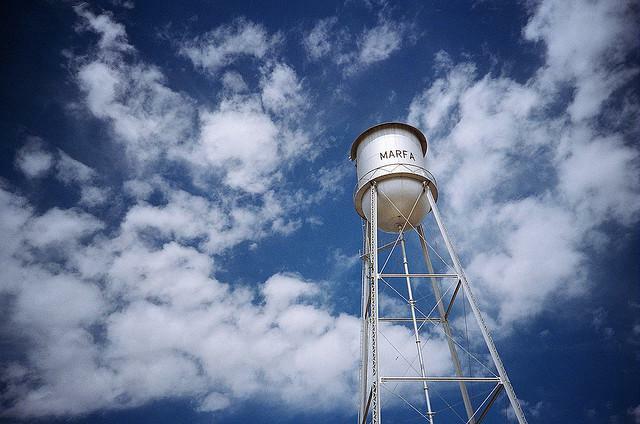 Even the water tower in Marfa looks artistic. 31. See the spectacular July 4 fireworks show in Addison – Kaboom Town, considered one of the country’s best fireworks shows. 32. Slide down Flagpole Hill in Dallas after a snowfall or ice storm. 33. Spend an afternoon at Klyde Warren Park in Dallas – soak up the sweeping views of downtown and explore the nearby Arts District. 34. Spend the day at the Stockyards in Fort Worth, then follow it with a night in Sundance Square. 35. On your roadtrip, take a break at Buc-ee’s. Admire the clean bathrooms – the one in New Braunfels was once named the best bathroom in the country. 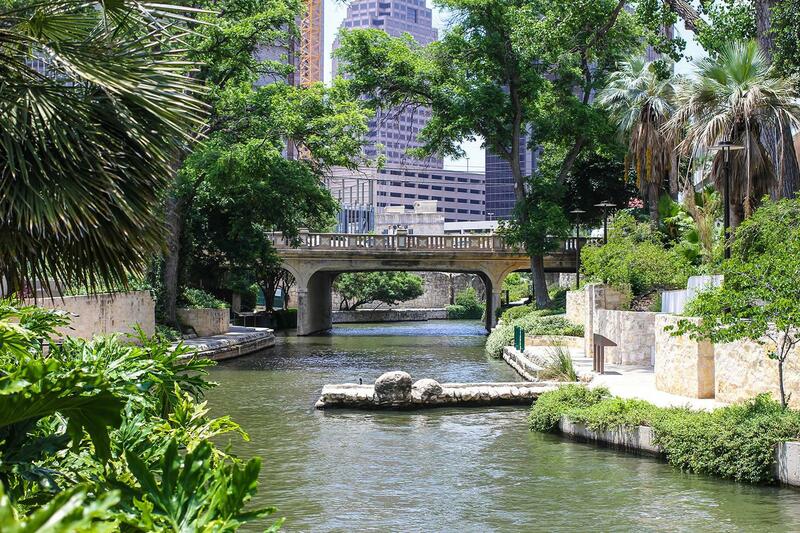 Take a stroll along the San Antonio Riverwalk. And venture around the city to see historic homes and missions. 38. Stop in Amarillo and look at the Cadillac Ranch, the public art installation that features painted Cadillacs. 39. Consume some Texas-centric foods: Blue Bell ice cream; Collin Street Bakery fruitcake; kolaches in West — just to name a few. Eat some more Tex-Mex. Then wash it all down with Shiner beer. Update: We’ve received so many responses from readers that we wanted to add a few of the more popular items we’ve missed. (And there are some places that KERA News staff members insist be added to the list. And there are some we simply forgot to post in the first place.) What else are we missing? Let us know — contact us at eaasen@kera.org! 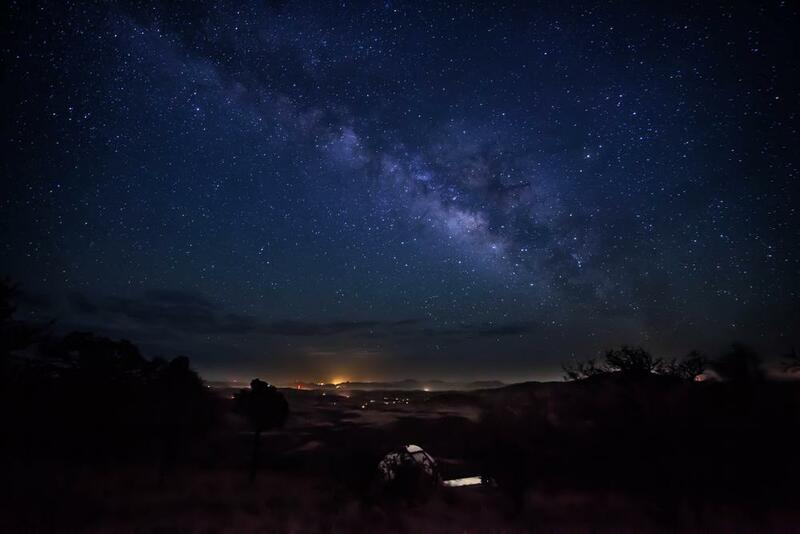 Ooh and aah at the stars in the night sky in west Texas. 41. Visit Palo Duro Canyon in the Texas panhandle – it’s the country’s second-largest canyon. Palo Duro Canyon State Park says: “Early Spanish explorers are believed to have discovered the area and dubbed the canyon ‘Palo Duro,’ which is Spanish for ‘hard wood,’ in reference to the abundant mesquite and juniper trees.” While you’re at Palo Duro, see TEXAS, the outdoor musical. Who needs the Grand Canyon when you have Palo Duro? 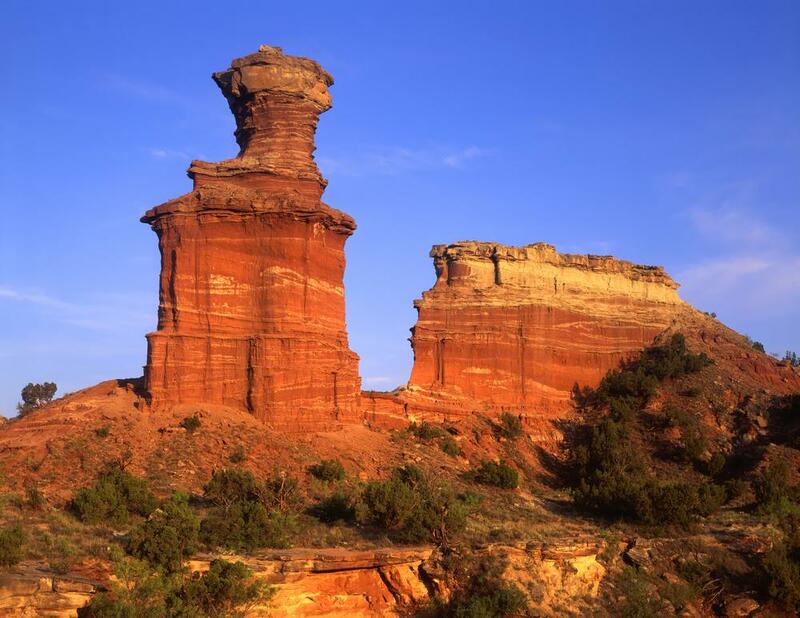 Admire the Lighthouse Formation in Palo Duro Canyon State Park. 43. Venture to Southfork and look for Sue Ellen and Bobby or other members of the Ewing clan. Feast on the mouth-watering meats at Louie Mueller Barbecue or one of the scores of other top-notch barbecue joints across Texas. 44. Who needs to head into space when you can explore Space Center Houston, home of the Johnson Space Center instead? 45. Stuff yourself silly with some Texas barbecue. Among the places suggested (and we don't mean to start World War III): Snow's in Lexington, Louie Mueller in Taylor, Franklin Barbecue in Austin, Kreuz Market in Lockhart, Pecan Lodge in Dallas. KERA's Eric Aasen talks about the Texas bucket list -- and the buzz it's generated. Like this story? Then follow us on Twitter at @keranews. And visit keraews.org for more news. This story published March 7, 2014 and has been updated. History has molded Texas — literally — to form today's unmistakable shape with its sharp angles of the Panhandle, sweeping curves along Mexico and jagged edges near the Red River and the Gulf. Now, nearly 170 years since the state's borders were defined, we eat Texas-shaped waffles, swim in Texas-shaped pools and sleep on Texas-shaped pillows. It’s time for the bluebonnet bonanza. For just a few sweet weeks across North Texas, bluebonnets are in bloom. But act fast: They don’t last long. The flowers typically peak in Dallas-Fort Worth in mid-April, but they should last through the end of April – and perhaps into early May if we’re lucky. Texans have long been fascinated by bluebonnets. Join us as we travel virtually through the bluebonnets – you might just learn something new about Texas’ favorite flower. The State Fair of Texas is underway at Fair Park. For nearly 65 years, Big Tex, the giant cowboy, has stood over the fair, greeting visitors. Here’s a history lesson. Five stories that have North Texas talking: Texas’ barbecue cred is questioned; two Texas members of Congress take a bipartisan road trip; meet the Dallas-Fort Worth musicians playing SXSW; and more. 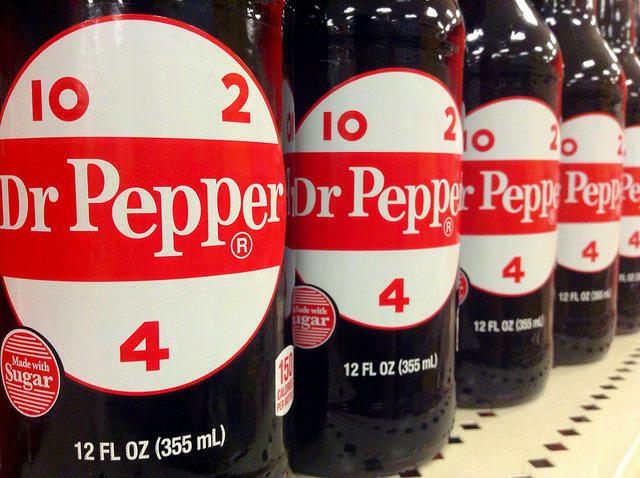 My favorite snack as a teenager was a Dr Pepper with salty peanuts. You remember: you pour the peanuts into the Dr Pepper and let them float around and season the drink. Didn’t get much better than that. This tiny town perched on the high plains of the Chihuahua desert is nothing less than an arts world station of the cross, like Art Basel in Miami, or Documenta in Germany. It's a blue-chip arts destination for the sort of glamorous scenesters who visit Amsterdam for the Rijksmuseum and the drugs. "They speak about Marfa with the same kind of reverent tones generally reserved for the pilgrimage of the Virgin of Lourdes," notes Carolina Miranda, a writer who covers the art world. The bluebonnets are popping up across North Texas. And folks are running through the bluebonnet fields to take pictures. But we also love snapping pictures of animals in the wildflowers -- especially dogs. It's wildflower season in North Texas. And Tiana Rehman says the season is more than just beautiful flowers like bluebonnets or wine cups along highways.